With over 51 years of combined experience, our skillful dentists have provided top-quality dental care to individuals and families throughout Flint and all of Genesee County. Our friendly and courteous team will be ready to greet you with a smile the moment you step foot into our office. We view your total satisfaction as a top priority, which is why we make sure to pair patients with a hygienist and doctor they are familiar and comfortable with. Dr. Jay A. Werschky and Dr. Jori W. Lewis, the father-daughter dental duo, encourage our team to go above and beyond in providing a relaxing environment for the patients we serve. New patients are always welcome at Werschky & Lewis Family Dentistry. Schedule an appointment today by calling (810) 671-5616. Achieve the beautiful smile you deserve. As a proud Flint, Michigan native, Dr. Werschky graduated from the University of Michigan - Flint, with an undergraduate degree in biology. He later earned his Doctorate in Dental Surgery from the University of Michigan - Ann Arbor. Dr. Werschky’s willingness to continue his education and stay two steps ahead of the latest technology advancements set him apart from other dentists in this area. By remaining current with the most up-to-date dental practices and procedures, he’s able to provide patients with the best dental experience. Along with her father, Dr. Werschky, Dr. Jori W. Lewis provides our patients with the highest level of dental care. She received her undergraduate and DDS degrees from the University of Michigan, Ann Arbor. Through her firm belief in remaining ahead of the curve with the newest dental technologies, she is a certified laser dentistry and Six Month Smiles cosmetic orthodontics provider. 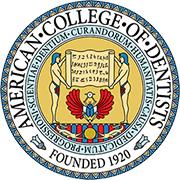 Dr. Lewis is also a proud member of the Michigan Dental Association and the American Dental Association. She continues to improve her dental abilities through further education. Whether it’s time for your six-month cleaning or you’re in need of teeth whitening, a crown, orthodontic treatment, or a root canal, Werschky & Lewis Family Dentistry would be happy to provide you with the comprehensive treatment you need.